The career of a professional surf photographer is a tough one to pursue: expensive, physically challenging and highly competitive. And that's before those involved start working against each other. The Indian Ocean super storm generated a huge amount of hype, that's a given, and with that hype came opportunities. Obviously the old days of ethics and bringing something to the party has long gone. So you want me to come in during the middle of swell to give you a selection of images? ...No idea." Michael Novy selects his line from deep at The Right. As the pressure for media outlets to cover such a swell event mounts, seasoned vets and newcomers alike cash in on the opportunities that arise as a result. "There were lots of new faces," says Russell who spent the swell shooting the spot that made his name formidable. "Photographers driving more photographers on the back of skis, obviously the old days of ethics and bringing something to the party has long gone." 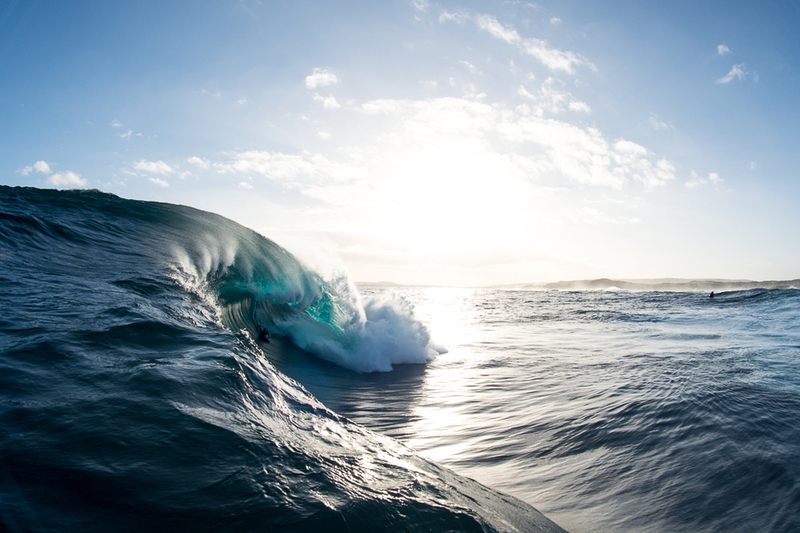 So you want me to come in during the middle of swell to give you a selection of images? ...No idea. Russell is still the only photographer shooting fish-eye at The Right and on any given swell of significance, you'll find him working the angles on WA's most unpredictable slab. His hard earned stature however didn't stop his day's work from being muscled in on. "It’s a long way to go out of your way, to do what I like to describe as poaching," he continues. "Organising a good crew of surfers only to see it plastered all over the internet. This sequence of Michael (Novy) is only seeing the light of day because I asked the photographer he was with to let me know when he was done and dusted with his images. Good communication still exists between a few of us out there which is nice." You can't get an angle like that from a ski now can you? Despite a reported 12 skis in the channel, all straddled by photographers, Russell's willingness to put himself in harm's way to get the shot ensures his work remains top drawer. Nothing captures the power and fear of by The Right like a shot sea level. Organising a good crew of surfers only to see it plastered all over the internet. "Ocean awareness is definitely important, but I prepare for the worst," he says. 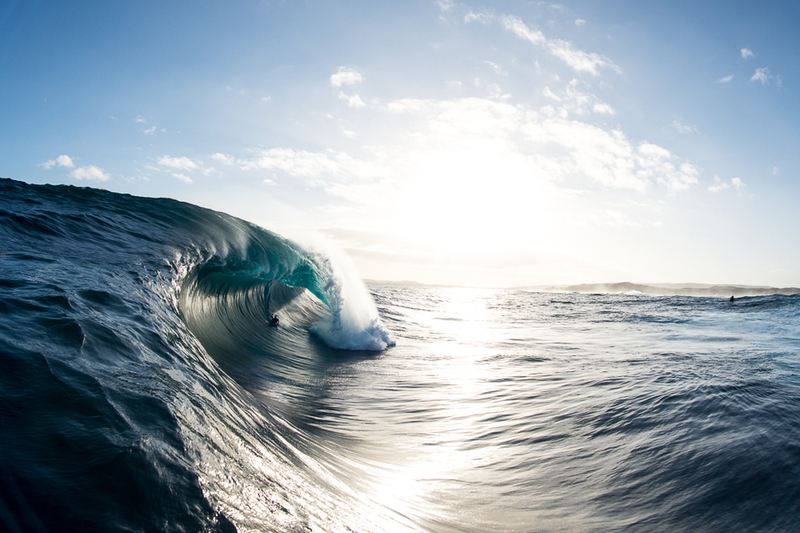 "I've had a number of waves on the head out there and that’s where I go back to all my training. Preparation is certainly the key, the photo at the end of the day is just the end result of years and years." As Muhammad Ali said best, "The fight is won or lost far away from witnesses – behind the lines, in the gym, and out there on the road, long before I dance under those lights."